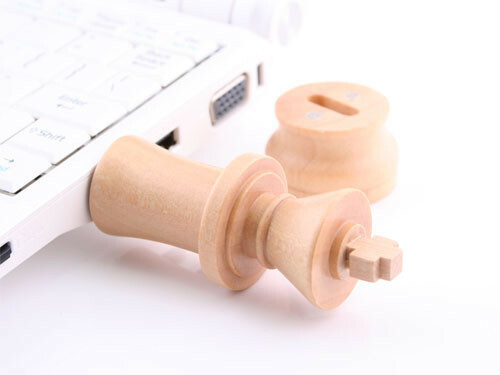 We have featured all kinds of fun USB drives, but if you’re a big fan of chess, the following white king chess USB flash drive should be able to draw your more attention. This is an interesting USB drive that measures 32mm diameter by 88mm height and weights 25g. 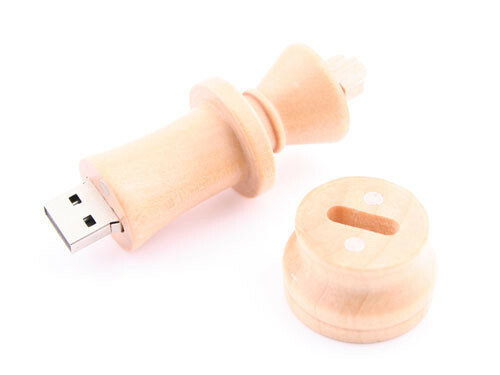 As we can see from the images, the USB flash drive is shaped as the white king chess piece, and comes with nice details from its classic design, moreover, the USB drive also features a wooden casing for elegant look and durable construction. Inside there is a flash memory for your digital files. 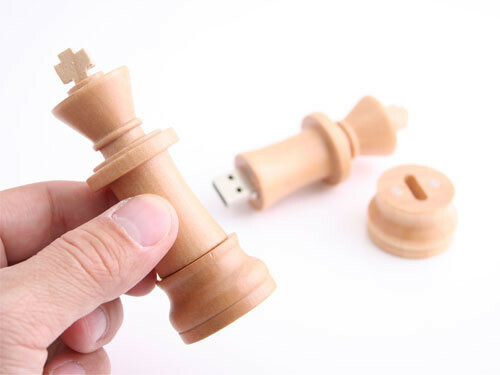 Just removing the base, you can conveniently insert the exposed USB connector into your USB port for data transmission.The white king chess USB flash drive is available in 4 storage capacities including 4GB, 8GB, 16GB and 32GB, and starting from $20 USD. If you’re interested, jump to USBGeek online store for more details.Additionally, if you need other options, you might like to check the NES controller USB drive and more via “USB flash drive” tag.